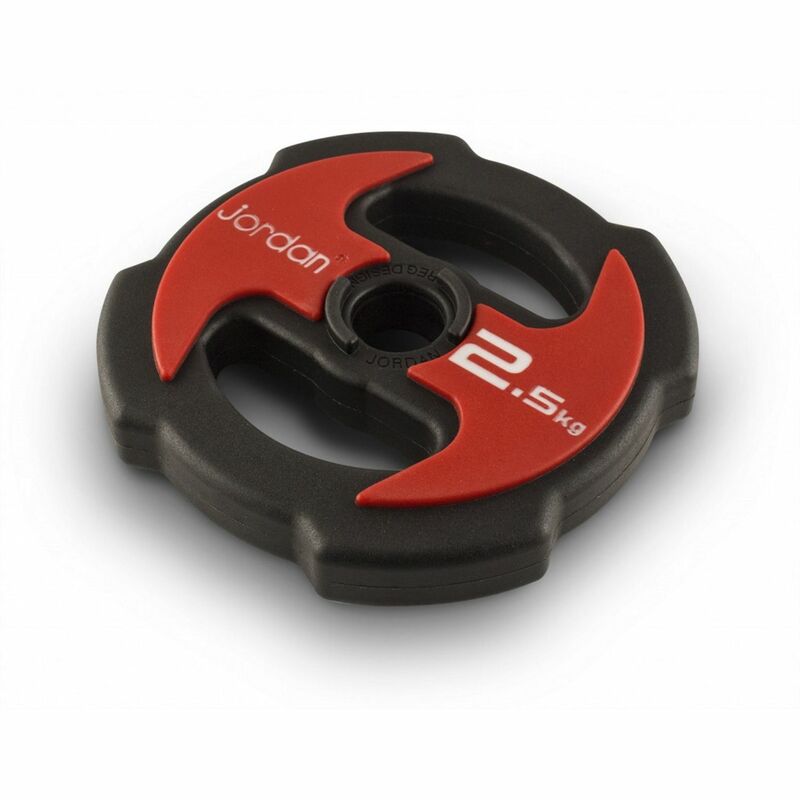 Give your fitness class a lift with a brand new set of urethane studio barbells that not only look the business, but offer anti-roll discs, ergonomic handles on the weight discs and quick lock collars to secure the weights firmly in place. 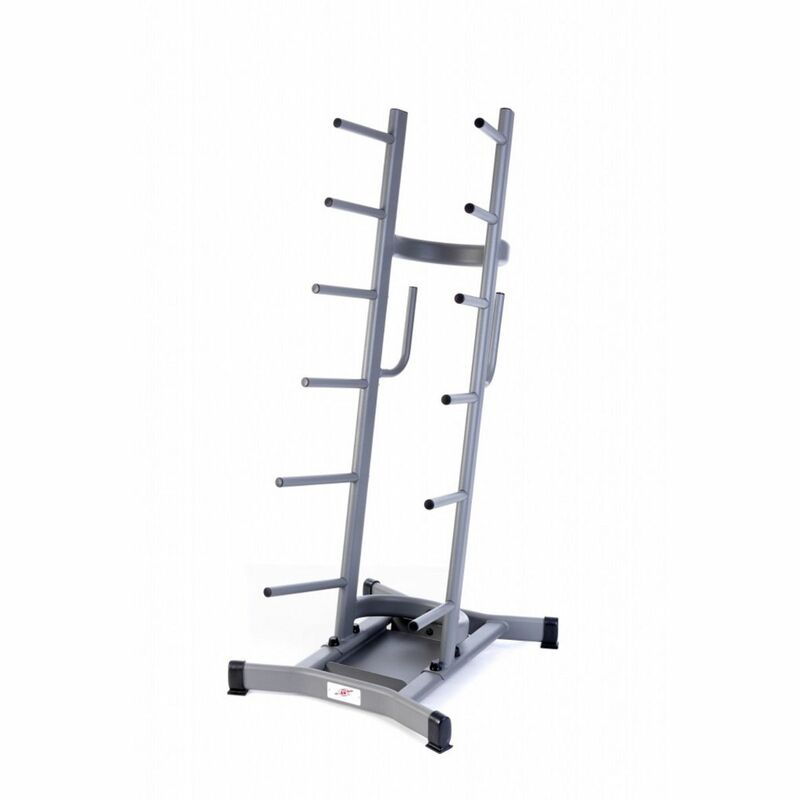 Choose up to 17.5kg in weight and store the sets away after workouts with a convenient storage rack. Superb commerical quality studio barbell package at a great price. The perfect barbell set for a small studio or gym that has limited fitness classes or personal training only. 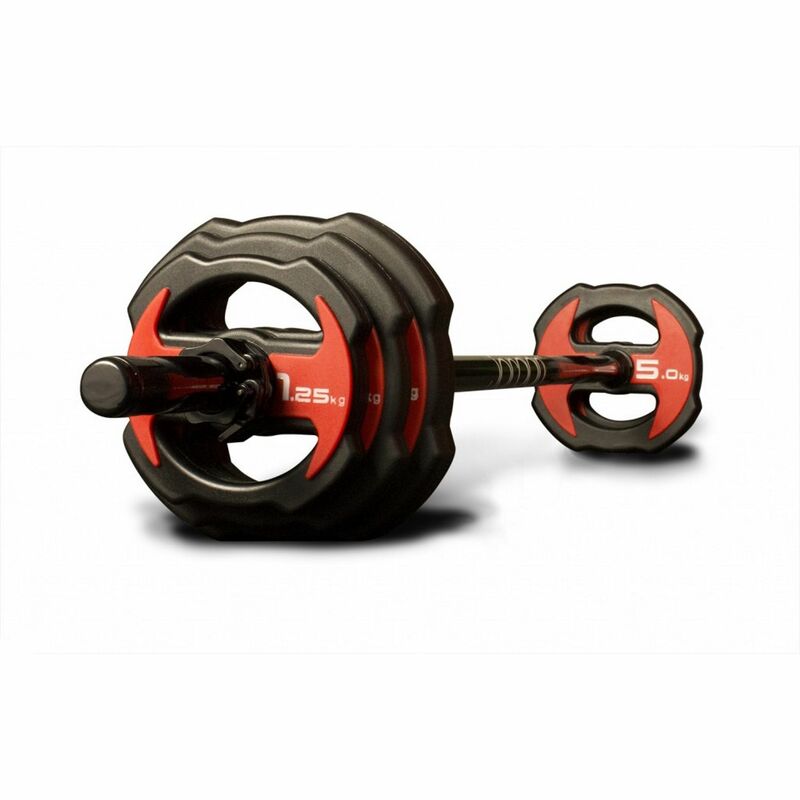 This urethane barbell set provides 12 sets of studio barbells that come with 17.5kg of discs each. That means two 1.25kg, two 2.5kg and two 5kg discs for each gloss black bar. 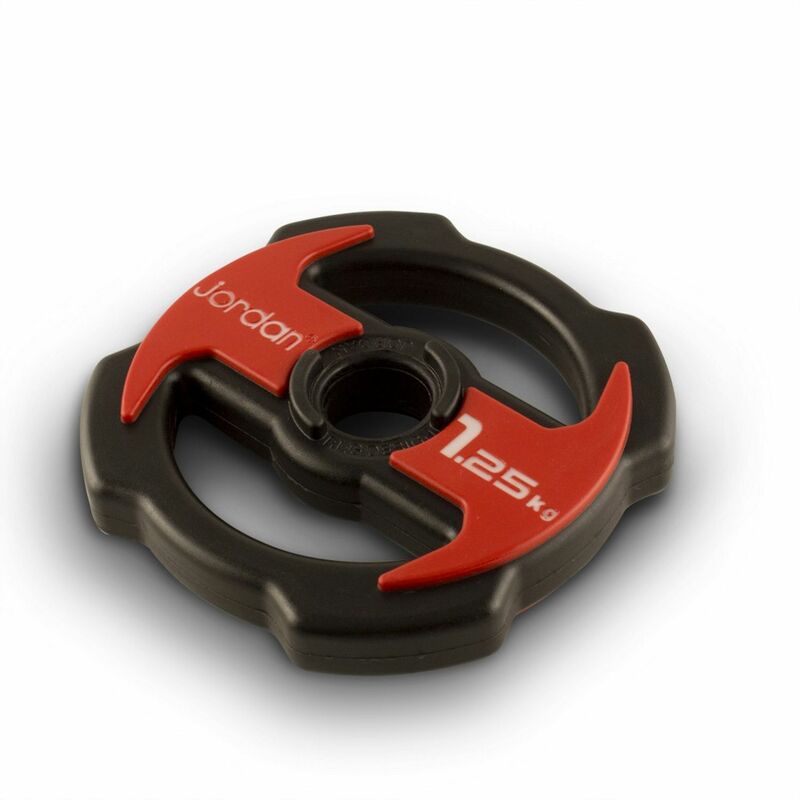 You also get a pair of quick lock collars for each bar for securing the discs in place. 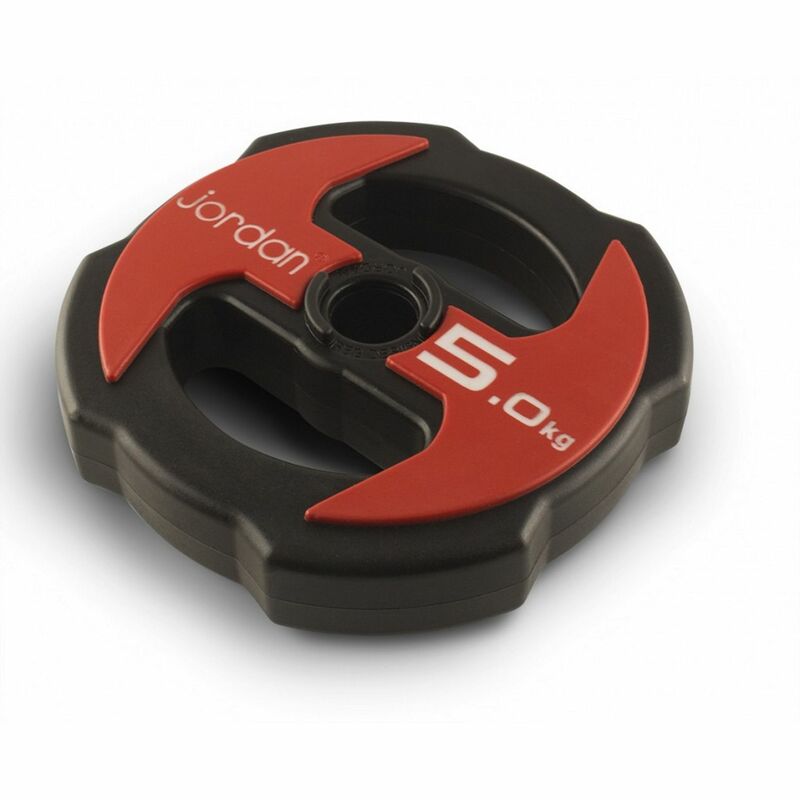 They are designed with the anti-roll design to prevent them rolling off around your gym floor and each disc comes with the ergonomic handle that allows you to use the weight discs without the bar for a further range of exercises. They have clear weight markings and are a red and black design which looks classy and will go with almost any gym decor. 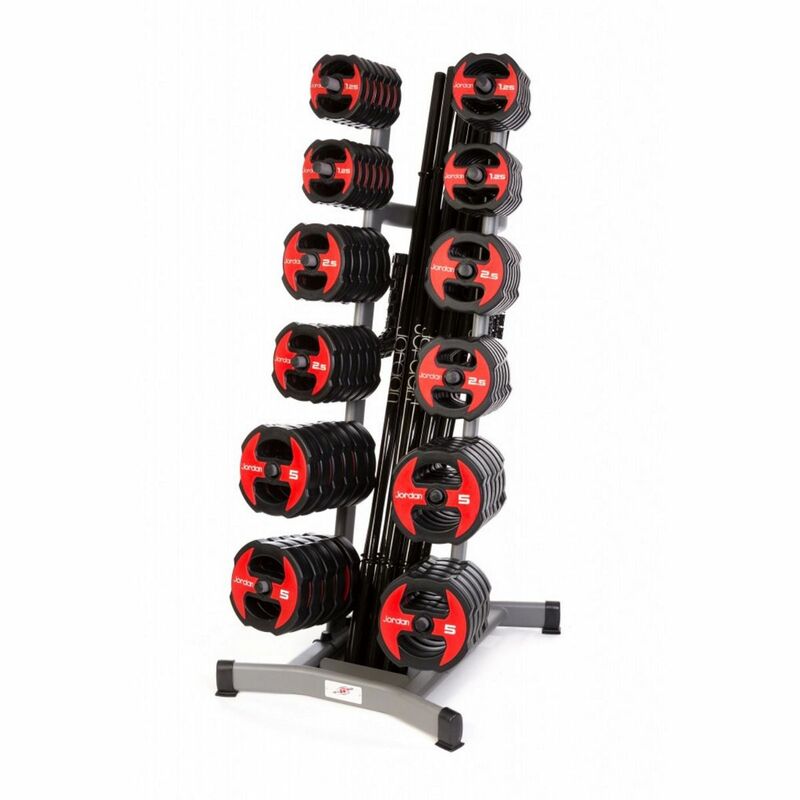 The 12 sets of barbells also come with their own storage rack which is designed to make it simple for class users to choose their weights and to tidy up afterwards!